This Advent sees the start of the Year of Consecrated Life. We Christians are not called by God to live a life of mediocrity, but a life of perfection. The ideal of Christian perfection is derived from the teachings of Christ the Lord, and the evangelical counsels of poverty, chastity and obedience. These counsels are derived from the life of Christ Himself: from His Passion and Death – the inexhaustible founts in which the heroism of every Christian generation finds its nourishment. By the grace of God, each one of us strives to better ourselves, to live, as best we can in our situation, to live by these evangelical counsels, modeling our lives and our families on Christ the Lord, the institutor of the religious life, and on the Holy Family: Jesus, Mary and Joseph. Many of our readership may not encounter – especially day-to-day – consecrated men or women (called ‘Religious’). We Norbertine Canons are such Religious. Each Religious Order live the evangelical counsels in a particular way, which we might call a “charism”. Norbertines find it difficult to explain what their charism is, but this is no bad thing. Norbertine life is founded on living the evangelical counsels in the stability of a particular community (Canonry); at our core, is a life of contemplation, which spurs us on to undertake apostolic works in various different ways. In our canonry, our apostolic labours are undertaken mainly in parishes, although there are members of our community who teach and who are chaplains to specific apostolates. Different canonries of our Order might undertake different works according to their circumstances. But, whatever works are done, it is a participation in the work of Christ. 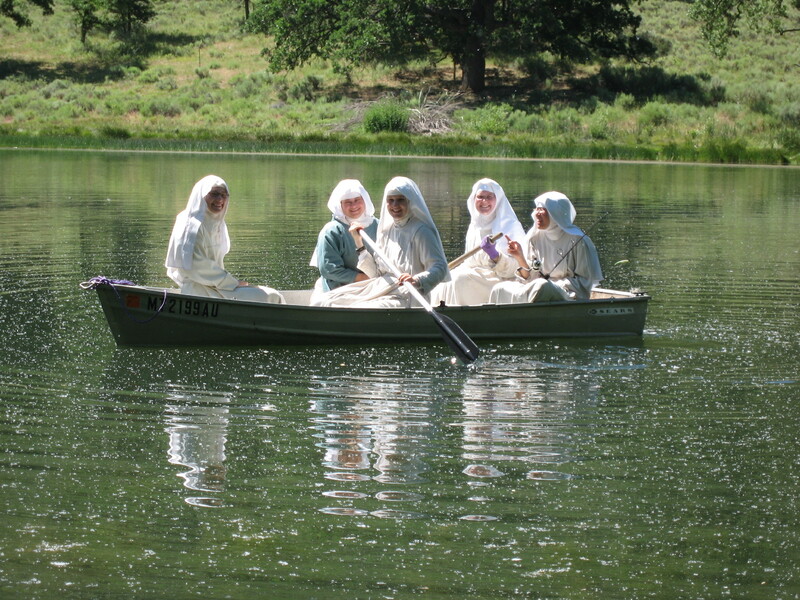 As well as Canons, there are Norbertine Canonesses (alas, there are no canonesses yet in England), which we call Norbertines of the Second Order (Canons are First Order). Canonesses are enclosed sisters, and they live a life of contemplation and work in the community, supporting the Order and the World with their prayers and growth in sanctity. A particular feature of our Order, which more recent Orders have copied, is the Third Order, or Norbertine Tertiaries, who are lay men and women, who live lives in the world, but participate in the spiritual benefits of the Order. 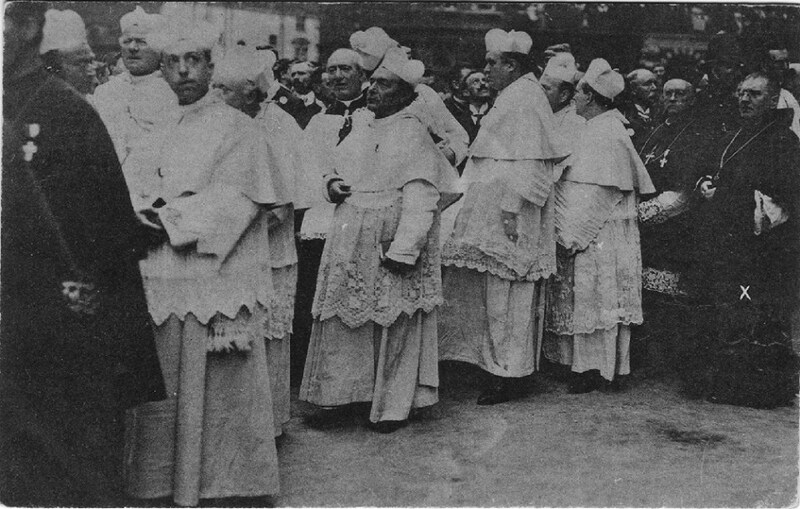 But whether consecrated men and women live their lives as priests, canons regular, friars, monks, nuns, canonesses, active sisters, brothers, or consecrated virgins, they have all sought to eschew worldly pomps and success, the prospect of marriage and a family, work and careers, to become closer to Christ, to find their own salvation, and to sacrifice themselves for the world’s salvation. Both active and contemplative religious are essential. We can see with our own eyes, perhaps, the good works done by active religious, in parishes, schools, hospitals, prisons, working with the marginalised of our society. But, hidden away, are contemplative men and women, that, because our world values only what is tangible, what it can see and touch, it easily dismisses. (We Norbertines combine both the contemplative and the active life, which we call the mixed life: our active life is a fruit of our contemplative life). But, without prayer, without sacrifice, without the contemplative life, all our practical work is a waste. The real world is found in the cloister, a sign of contradiction, which, as Pope Francis says, wakes up the world. In this Year of Consecrated Life, please pray for Religious, especially for our Canonry in Chelmsford and all Norbertines. Also, if you are not married, consider for yourself the Religious Life, in all its forms. It might very well be the case that you will find your true fulfillment and happiness in this way of life, by giving yourself wholly and completely to Almighty God, throwing yourself at the foot of the Cross, where the Blood of the Saviour rains down upon us, and the gentle touch of Mary our Mother wipes away our tears. This entry was posted in Uncategorized, Year of Consecrated Life. Bookmark the permalink.